When asked recently at what point human beings should be given human rights, U.S. Democratic Presidential nominee Barack Obama said that to answer that question with any specificity was “beyond his pay grade”. What those who did not watch the debate perhaps don’t know is that he followed with an almost 5-minute explanation – quite convincing, I must add – which began: “I am pro-choice, but that does not mean that I am pro-abortion”. Sadly, the reality is that if you are pro-choice, while you may not like the idea of abortions, you are pro-abortion: that’s exactly what it means. For Obama, who professes to be a Christian, this should not be taken lightly. Did you know that in Canada there are over 110,000 abortions every year? In the United States, there are more than 1.3 million abortions yearly, which means that in both countries combined, there are 4 abortions every minute. 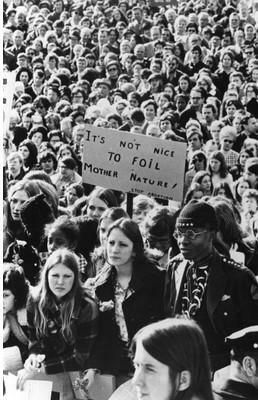 That also means that since Roe v. Wade in 1973, there have been some 40 million abortions in the U.S alone! I am always blown away by those statistics. 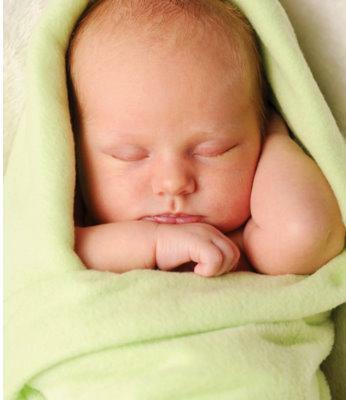 Apparently, what used to be "1 in 4 pregnancies in the U.S. end up in abortion", is now 1 in 5. I guess that’s a good thing. 1 in 5…. Wow! In case anyone is in doubt: All Christians should be Pro-Life. Let me re-phrase: If you are a Christian, you cannot be pro-abortion or pro-choice. You cannot be pro—euthanasia, pro-death penalty or pro-stem-cell research. In fact, you can’t be pro anything that is remotely related to the cult of death. The words "Christian" and "pro-death" don’t go together. It is surprising to me that so many who call themselves Christian still don’t quite get it. This past summer, I was involved with the Knights of Columbus on a project to highlight the Knights’ Pro-Life involvement. If anything is quintessentially Catholic, it is the Knights, the largest lay Catholic organization, which was founded on the principles of charity and unity. 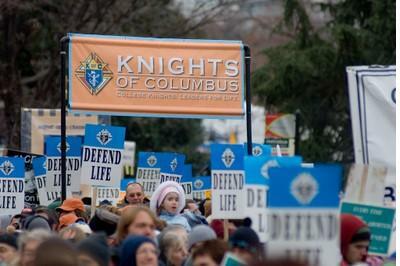 As such, it makes perfect sense that the Knights of Columbus, as an organization is Pro-Life. It makes sense that all Knights should be Pro-Life and Pro-Family. And that is what A People of Life aims to show: Not just how “amazing the Knights are”, but what it means to be a people of life and a people for life. What being “Pro-Life” means. It’s not just being against abortion, and protesting outside abortion facilities. It’s a way of life – it’s, in many ways, what being truly Christian is all about. Pope John Paul II in his 1995 Encyclical Evangelium Vitae wrote: "To all the ... people of life and for life, I make this most urgent appeal, that together we may offer this world of ours new signs of hope, and work to ensure that justice and solidarity will increase and that a new culture of human life will be affirmed, for the building of an authentic civilization of truth and love." A couple of years ago, I was blessed to be in Vancouver at a Eucharistic event with three Sisters of Life. During one of the talks, one of the Sisters talked about the pillars of the culture of life: Faith, Hope and Love. By definition, the pillars of the opposite: the cult of death, are the opposite of those. But what are they? Faith is trust and complete reliance on God. Faith is not just “faith”, but Faith in God. So the opposite of that is not just “not having Faith in God”, but complete trust and reliance in ourselves. The opposite of Faith is faith in ourselves. Another name for that is Pride. Identifying the opposite of Hope is a bit simpler: despair, hopelessness. Many would quickly jump to conclude that the opposite of Love is hate. However, hate is a secondary, response. The true, deep opposite of Love is Fear. It is no surprise that one of the most common expressions in Scripture is “Be not afraid”. And so, the pillars of the cult of death are: pride, despair and fear. What does this all mean? It’s very simple: Everything we do, as people of life, needs to be motivated by Faith and/or Hope and/or Love. As soon as we find ourselves being motivated by despair or pride or fear, we’ve got a problem. How many times do we make decisions based on pride? Or respond to a situation because of fear? How many are driven to certain behaviour because of despair? It’s really not that hard. For me, it just took a small realization. And all of the sudden, all of the Church’s moral teachings made sense. We sin when we build the cult of death. We uplift, glorify and serve God when we build the Culture of Life. This Sunday, September 7 at 9pm (with encore presentations on Monday, September 8th @ 1am & 2pm; Wednesday, September 10th @ 8pm and Thursday, September 11th @ 12am) you will have the opportunity to watch A People of Life. A People of Life explores what it means to be Pro-Life and includes interviews with Supreme Knight Carl Anderson, March for Life Founder Nellie Gray, Project Rachel Founder Vicki Thorn, Democrat Member of U.S. Congress Bart Stupack, President of Life Athletes Chris Godfrey, and Superior of the Sisters of Life Mother Agnes, among others. It looks at the Pro-Life issues: abortion, euthanasia and stem-cell research in both the U.S. and Canada, and focuses on the work done by the Knights of Columbus in these areas. May it be for you an opportunity to examine your life and what motivates your actions. More importantly, may it be an opportunity for you to celebrate LIFE and to rejoice in the long history that the Catholic Church, the Knights of Columbus and many, many Christians; many, many holy and wise men and women, throughout the last 2000 years have had in the building of the Culture of Life. For more on this, read my article: Why Am I ProLife? And let me know your thoughts. Always love to read your comments.